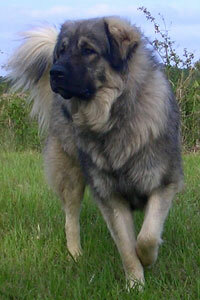 Sarplaninac is a breed of Antiquity, believed by many to be one of, if not the oldest true Molosser in the World. There\'s an old Balkan folk legend that says the breed remembers the time when everything used to be under water except for the highest mountains, implying the connection to the Biblical flood, but more likely referring historically to the period when the entire region was covered by the Pannonian Sea. The Sarplaninac (pronounced Shar-Pla-Nee-Natz) is a close relative of all Balkan dogs, from Slovenia to Greece, as well as the Caucasian, Turkish and Central Asian sheepdogs. It is the Balkans where Molossers come from, having spread on all sides of the world thousands of years ago, influencing the establishment of most modern mastiff and shepherd dog breeds, leading some to conclude that the Sarplaninec is the oldest dog of this type. This breed is most commonly associated with the Sharplanina region of Southern Serbia and Northern Macedonia, which is how it got its name. However, the famous Shara is only a single mountain in the Balkans, while the dogs classified as Sarplaninci can be found in many other regions of Macedonia and Serbia, such as the mountains of Korab, Stogovo, Bistra, Jablanica, Pelister and elsewhere, lending credence to the claims that even the popular and currently official name is rather misleading and not completely respectful. Many believe that this had been the famous palace dog of Alexander the Great, while the Skilos tou Alexandrou was one of his war dogs, but chances are that it was a specific mild-mannered type of the Sarplaninac known as Zlatan that served as the great conqueror's pet, seeing how all but one variety of the breed have traditionally been very dominant and ferocious workers. Prior to the Turkish conquest of the area, all of the shepherd dogs of the Balkans were known under the somewhat romantic name of "Illyrian Mountain Dog", distinguishable as regional Molosser types, rather than actual breeds. However, these great dogs existed in the Balkans long before the Illyrian connection, so even that name is technically incorrect and would be more accurate if applied strictly to the Bosnian dogs and not to the Sarplaninac anyway. The livestock guardian breeds of Bulgaria, Albania, Serbia, Greece, Romania and other Balkan countries are a result of the strict breeding separations enforced by the native peoples of the area, but they all have the same ancestral roots as the original Alaunt and Epirian Mastiff, sharing their origin with the ancient dogs of Armenia and other Caucasian territories, as well as with the great wolfhounds of Central Asia, although the Sarplaninec of Macedonia had been bred in isolation longer than most of its relatives. The breed was officially recognized in 1939 and falsely registered as the Illyrian Sheepdog, a name it had to share with its smaller north-Istrian cousin, the Krasevac. In 1954, these two varieties were separated and the Sarplaninac officially became the Yugoslav Shepherd Dog, even though matings between the Slovenian breed and the Sarplaninec continued to occur. There are many other names in use, but presently the Sarplaninac is known as the Srpsko-Makedonski Ovcarski Pas, hopefully satisfying the fanciers of this breed in both modern Serbia and Republic Of Macedonia. The Sarplaninac was recognized by the United Kennel Club in 1995 and is becoming a valued livestock guardian breed in the United States and Canada, where it is used for predator control and protecting large estates. Alongside its northern cousin, the Shumadinac, the Sharplaninac has been bred into many Molosser breeds in ancient times, but until the 1970's, it was illegal to export this breed out of the country. An excellent flock guardian, wolf killer and fighting dog, the Sarplaninac also makes a great service dog, as well as a superb property protector. Certainly one of the most standardized early breeds, the Sarplaninec has been bred true to type for centuries, comprising of a few variants separated by colour, size and temperament. In recent years, many types are being ignored in favour of the sable, or wolf/iron gray coloured show-dog type, the so-called "urban" variant. This is quite unfortunate, because it might lead to the extinction of the true mountain type dogs, as well as the colours other than the popular iron-gray Murdz variant. Some of these types are the pearl-white Merdzan, the ivory-white Merdzak, the fawn coloured black-masked Karabash, the golden-yellow/orange-red Zlatan, the dark bear-brown Medovan, the ghost-gray Zelendushan and the very rare brindle Tigar, also known as the "Shari" type. Crosses between these types are quite common, especially today. There are even "alternative" types to be found, like the Karabeg, Tetovac, Karaman, Sar Tip, Goranac, Turak and so on, some of which have been around for many years and a few that are of fairly recent origin. Following a very old tradition of their forefathers, Serbian and Macedonian shepherds would periodically introduce some wolf blood into the Sarplaninac, intended to improve the breed\'s health and prey-drive, but only as a well-thought out and necessary outcross, with such offspring being bred back into the working stock of dogs and gradually "cleansed" of the predator's influence after a few generations. Another variety worth mentioning is the so-called "Military Sarplaninac" type, developed by the Yugoslav Army during the decades following the 2nd World War. Inspired by the breeding programmes of the Soviets, the post-WW2 Yugoslav president Josip Broz Tito supported the development of a "better" service dog. For historical purposes, we should note that before the Communist rule, it was the Royal Yugoslav Army that also kept pure examples from Serbia and Macedonia as capable wardogs for many years, but with the collapse of the Karadjordjevic monarchy and USSR-backed Broz's rise to power after the war, a completely new socialist infrastructure and modernized society were established in the region, including the formation of the Yugoslavian People's Army (JNA) and its famous Sarplaninac kennels. While these military strains did make excellent working dogs, some of their bloodlines weren't entirely pure, having had the German Shepherds> and Caucasian Shepherds introduced to their gene pool. Due to their sharper temperaments and popularity with post-WW2 urbanites, these strains also found their way into many standard Sarplaninec bloodlines, resulting in even more variety and confusion concerning this powerful Moloss. However, that is not to say that all Yugoslavian Military lines were unpure, quite the contrary. In fact, some of the breed's best kept records, as well as some of the oldest pure Serbian bloodlines have been maintained by the Military for decades, relying on strict selection standards based on purity, as well as on health and working abilities, even screening all of their breeding stock for hip dysplasia and other concerns, which not many (if any) commercial Yugoslavian breeders do to this day. However, because of the difference in traits, both physical and temperamental, valued by the Military and the common Shara mountain shepherds in southern Serbia and Macedonia, a distinction between their types has gotten clearer over the past 50 years and can be observed even today. 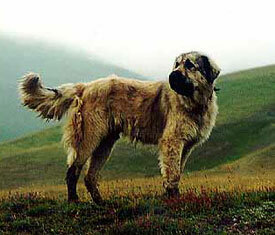 It is safe to say that the Sarplaninac of today is a result of crossing all the types within the breed, as well as assimilating many other rare Balkan Molossers, such as the Durmitor Shepherd, Goran Shepherd Dog, Kopaonik Watchdog and the Montenegro Sheepdog, as well as the Circassian Shepherd Dog and other Molossers introduced from the East over the centuries. Many Sarplaninac fanciers are concerned that this not only endangers the survival of those rare breeds, but also does substantial damage to the Sarplaninec gene pool. There is also a "new" Kosovo variant, developed by crossing the true Shara dogs with Albanian and Turkish livestock guardians and European large short-haired fighting mastiffs, known as the "Deltari Ilir", but this sub-type is disregarded by most Yugoslavians as a mongrel of modern origin. It is interesting to note that only a small number of Albanians living in Serbia agree with the separation of what are seen as the Serbian and the Albanian variants, with the overwhelming majority of them actually proposing the name "Illyrian Sheepdog" to be used for the Sarplaninac, which they consider to actually be an Albanian breed and see themselves as Illiyrians, even though these claims are purely nationalistic fantasies. This ancient mountain dog has become quite rare during the Yugoslavian wars, but a surge in worldwide popularity seen in recent years is promising to ensure its survival. However, many western-bred Sarplaninacs are said to be impure, having been crossed with the Caucasian Ovcharka, Kangal Kopegi, Leonberger, Newfoundland and other similar breeds, resulting in unpredictable temperaments and appearance inconsistencies. 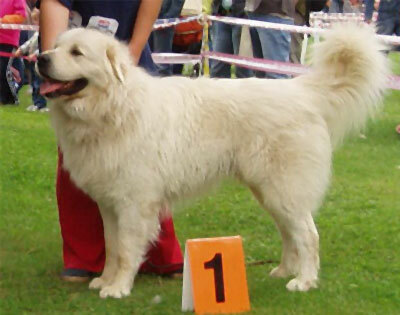 The situation in Yugoslavia isn't much better, seeing how there are many questionable strains commonly encountered, such as those "enriched\ with the blood of the Newfoundland, Caucasian Ovcharka, St.Bernard, Kuvasz, Mastino Napoletano, Deutsche Dogge and a few other European Molossers, almost all of which can trace their ancestry to the old Sarplaninec and the original Balkan breeds themselves. Even some Central Asian Shepherd, English Mastiff, Rottweiler and Fila Brasileiro blood has found its way into the modern Sarplaninec, which is quite disturbing, to say the least. It doesn't help that some of these crosses often receive high marks at the Shows. There have been some debates over the past few years concerning the breed Standard, which is is believed by many to had never been correct in the first place and stories about a possible re-write are currently polarizing breeders and fanciers of the Sarplaninac. While there is no doubt that the official Standard doesn't cover all of the different types, colourings and sizes within the breed, some authorities strongly oppose writing up a new one, because it might serve as a justification for certain unscrupulous breeders who have been developing uncharacteristic dogs using impure bloodlines. Still, a small number of honest and dedicated, mostly Macedonian and Serbian breeders is maintaining the purity of their dogs and making sure that this glorious breed continues to live up to its legendary reputation. Sarplaninec is a reserved and intuitive breed, naturally stubborn and undemonstrative, but once properly trained and handled with authority, it excels at any task. Dog-aggression and wariness of strangers are common traits of the Sarplaninac, which is why early socialization is of utmost importance. But this is also a breed of truly remarkable intelligence and immense loyalty to its owner, as well as genuine love of children, making it an agreeable companion dog. One of the interesting physical characteristics of the Sarplaninac are his unusually large teeth that set it apart from most dogs, further proving its old age of origin. Heavily-boned and muscular, the Sarplaninec has a very rich full top-coat, with an abundant dense undercoat, making it fully weatherproof and suited for an outside life. Most working breed representatives found in rural mountainous regions tend to be slightly smaller in size, with leaner bodies and shorter coats than their urban counterparts. Bearded examples are no longer found, but were fairly common in the past. Although the practice of ear cropping has been abandoned by most modern breeders and fanciers, there are still some working dogs to be found in remote mountain villages, which have had one of their ears cut off, as is the case with many Greek sheepdogs. All Sarplaninac types are always solid in colour, there are no bicolours and no uniformly black-coated dogs among purebreds, but oddly-coloured specimens do exist. The darkest allowed colouring for the Sarplaninac is very dark brown or dark gray at best, but never black, although black-coated dogs do exist in the region, but they are currently classified as a separate breed in Macedonia under the Karaman Shepherd name. Good skin pigmentation is very important when judging this breed. The skin must always be dark, from brown to gray to black, regardless of coat colour. Small white markings on the chest and toes are permissible, but never on the face. The nose, as well as other visible mucous tissue must be black, never brown or red. Pink skin is unacceptable, even in white dogs. Specimens under 24 inches at the shoulder aren't desirable, with the average height for the Sharplaninetz being around 26 inches, although smaller, as well as much larger dogs exist. To understand what is Sarplaninac,people must understand Serbian history.Our land,our mountain,our breed. 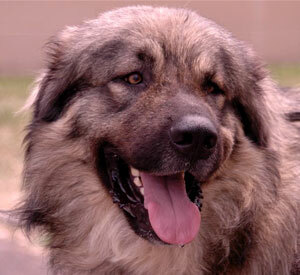 Sarplaninac is simply Serbian breed. I have to ask? This breed was most commonly associated with the Sharplanina region of southern Serbia and Scopja FYROM but now this Sharplanina region are Kosovo and Tetovo, Albanian regions! What happens now, the name of this breed comes to be changed again? 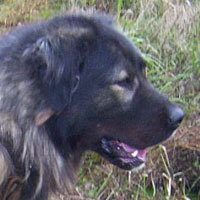 Why not to the Illyrian Sharplanina mountain dog as before! In my humble opinion, this is the most honest and most correct description ever! Who ever wrote it, has my deepest regards. Hi Ringo - would like your comment on the description of the breed here.